We are delighted to announce that we will hold the 12th Koganecho Bazaar 2019 from September 20 (Fri) to November 4 (Mon). Theme of this year is New Menagerie. In this occasion, Koganecho Bazaar 2019 open call welcomes proposal from artists that resonate with this year's theme till May 19 (Sun), 2019. 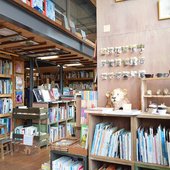 キュレトリアル・メッセージ「ニュー・メナジェリーについて」 Curatorial Message "About New Menagerie"
*Applications must be sent through E-mail by this date. 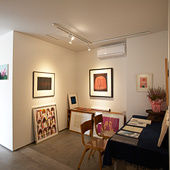 A total of four applicants will be selected to participate in the Koganecho Bazaar residency. *The actual number may change depending on the results of the selection process. Submissions are accepted by e-mail. Please send the application materials (listed below) as attachments. Data of up to 25 MB can be sent by e-mail. For larger applications, use a file delivery service or upload the files to your own server and send us a link. Video works should be uploaded onto YouTube, Vimeo or your own server. *For video work, please send a link for an edited version of the work no more than 5 minutes long. *Only one application may be submitted per applicant (individual or group). Those who submit more than one proposal will not be considered. Please send submissions with the title "KB 2019 Open Call Submission"
If you have any questions about the application process, please contact kb@koganecho.net between 22nd April ~ 26th April. Answers to questions will be published on our website on the 27th April.